The following data are as of end 2010. Two (2) Malaysia’s pension funds namely Employees Provident Funds (EPF) and Kumpulan Wang Persaraan (KWAP) listed in top 300 world’s largest pension funds. 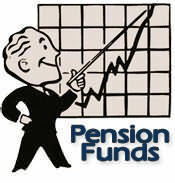 KWAP, Malaysian second largest pension fund is at number 139 up to nine spots from 148 in 2010. Total assets grow from $19 billion to $22 billion. The table below is the full top 300 World’s Largest Pension Funds for 2011. So many private sector in US has their own pension saving for their employees…but what happen to malaysian? Aside from EPF and KWSP, why not we have multinational company pension fund like PETRONAS,CIMB,MAYBANK,AIRASIA. No wonder why malaysian professional preferred to work abroad. If you retired from GM after October 1, 1997, you know that your pension option decision time is coming to a close. On June 1, General Motors announced their plan to lessen their pension liability by approximately 26 billion dollars. This leaves you with the power to choose between a one-time lump-sum payment, continuing with your current monthly payment, or taking a new form of monthly benefit. You need to decide which option you’ll go with by July 20, 2012. Before you do, it’s important to understand the complexity of each and every option so that you can choose which is best for you. You can watch this informative video which outlines the three available options by following this link: http://youtu.be/32ZRne7AoTQ. Additionally, it’s highly encouraged that you seek the advice of a seasoned financial planner.